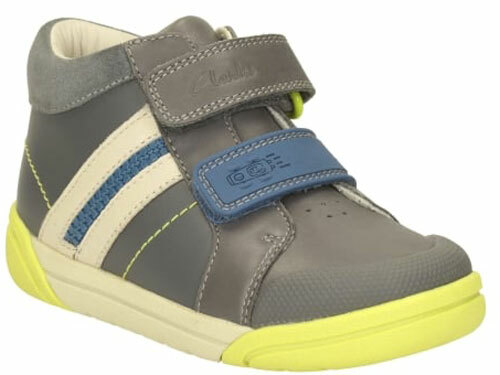 Clarks Lilfolk Mac – is a cute and colorful boys boot available from Clarks in a grey colour combination. 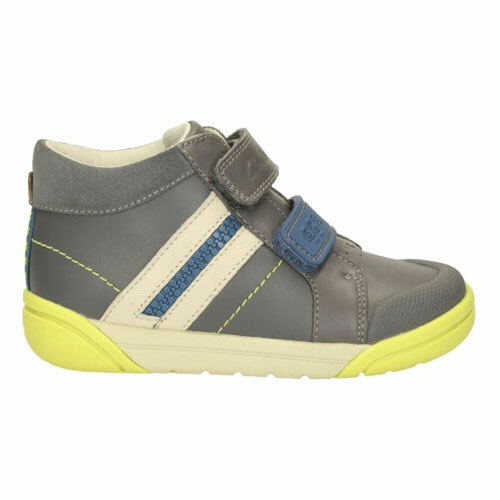 Agion™ technology keeps feet cool and fresh for all day wear. 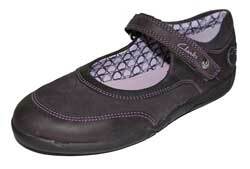 Featuring Air Spring FX™ which provides cushioning underfoot. 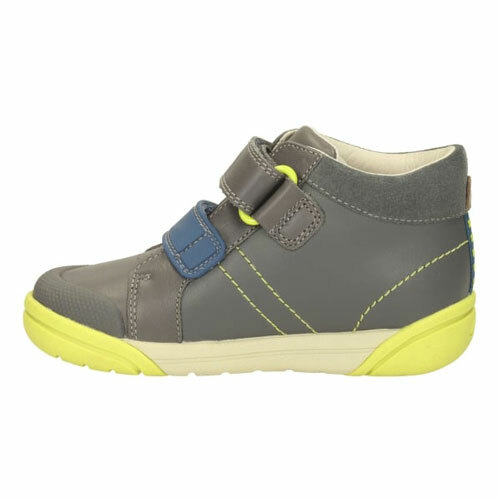 These ankle boots have zip detailing on the side and race track designs on one of two riptape fastenings, which make them easy to take on and off. 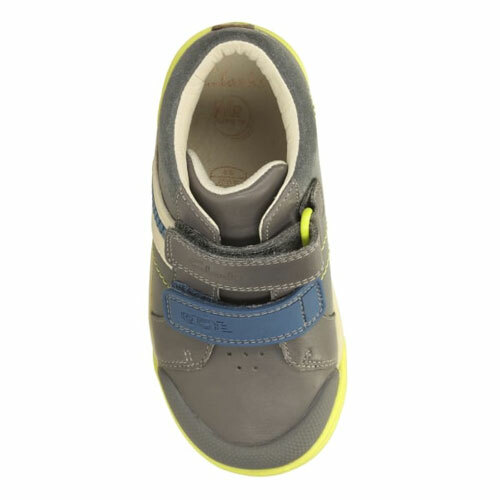 A lightweight sole with 4 flex grooves helps young walkers, encouraging natural movement, and the cuffs come with added cushioning for comfort. 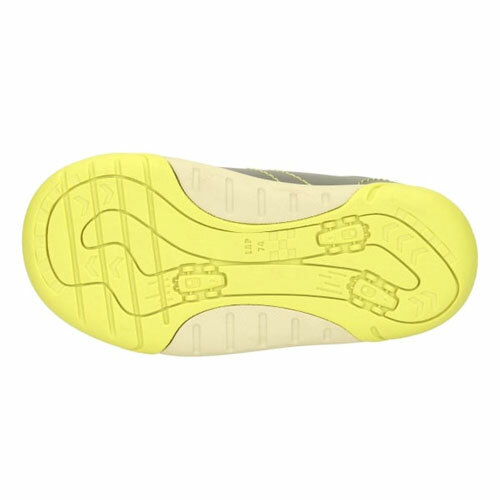 A rubber sole cups the front of the shoe to give extra protection.